On June 13, 2018, The Fed Funds Rate was increased to 1.75% to 2.0% and The Fed promised to raise it 2 more times this year (Sept and Dec). 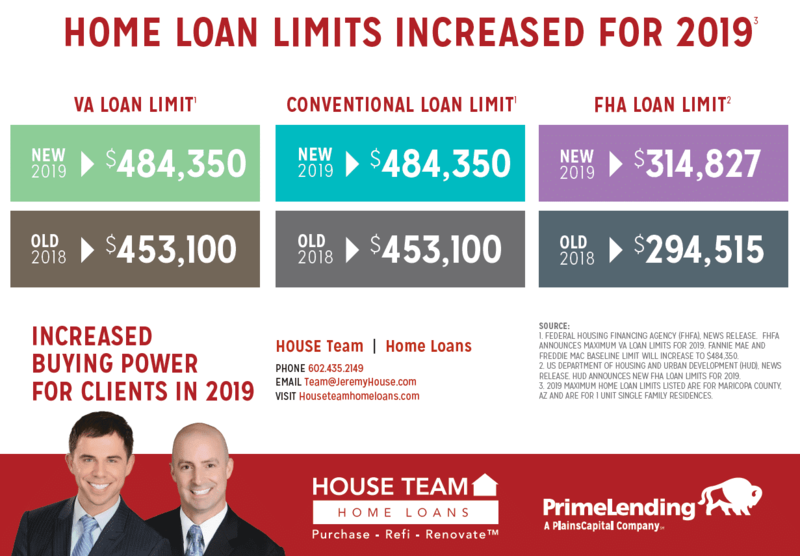 If your clients are wondering how this impacts their home buying prospects the information below may be helpful. 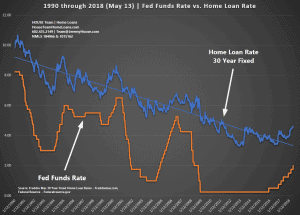 The FED FUNDS RATE & HOME LOAN RATE connection is often misunderstood. In fact, many consumers hear “Feds hike rates” and assume mortgage rates are included. 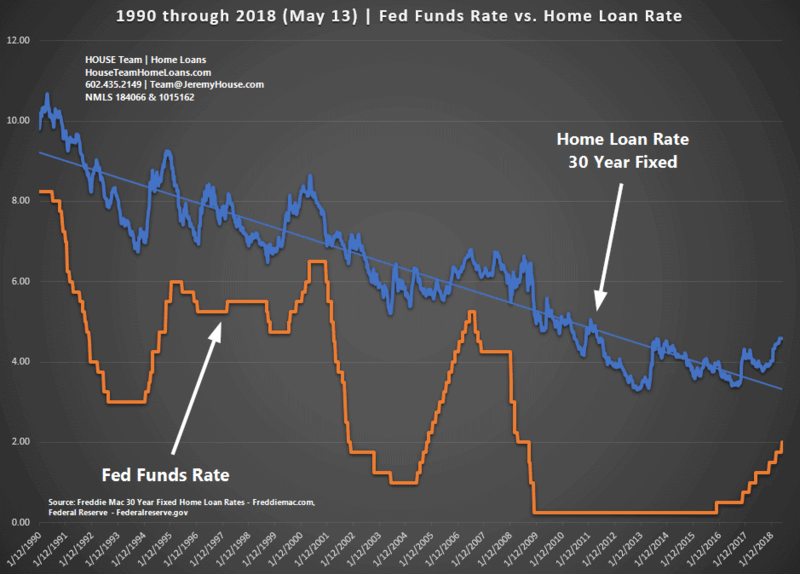 I put the chart below together showing the trend of both Home loan rates (blue) and the Fed Funds rate (Orange) since January of 1990 through present. The Fed Funds Rate history is as smooth as a new teenage driver in a 6 speed. The Home Loan rate history tracks more like a smooth sailing veteran. The Fed raising the Fed Funds rate does not mean home loan rates will immediately follow suit. Thank you! 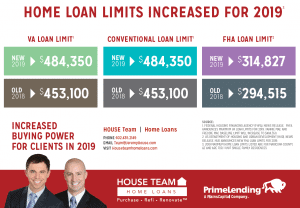 Interest Rate Hikes by Fed | Best Things Come in 3's? ?